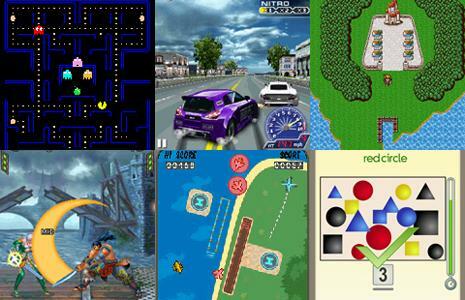 Video game maker Namco Bandai has announced that 22 of its classic arcade game titles will be brought to Nokia‘s Asha Touch smartphones and will be available to download from Nokia Store beginning today. The games have been optimized for touch screen game play and are playable on Nokia Asha 205, Asha 306, and the recently-launched Asha 311. Game titles include Pac-Man, Flight Control, Soulcalibur, Final Fantasy, Ace Combat Northern Wings, Brain Exercise with Dr Kawashima, and Ridge Racer Drift. Owners of Nokia Asha Touch phones without credit cards can still purchase the games with Nokia’s direct billing system, which is in effect in 52 countries. The 22 game titles vary in price, between $0.99 and $2.99.